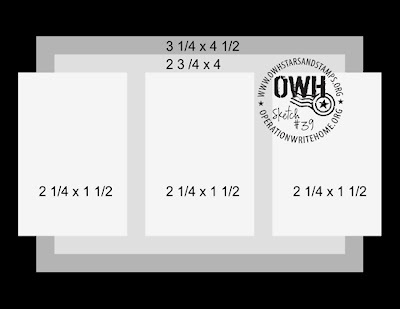 Welcome to another OWH Stars and Stamps Sketch Challenge. Are you ready to stamp? I hope so because this week's sketch has it all... a quick, easy layout, room for your favorite image and even a sentiment... so let's see what you've got! Today's awesome sample card was created by the wonderful Tina. To see more of her gorgeous artwork, please visit her blog, Live, Love and Stamp. Thank you, Tina, for the beautiful card! Thank you for another fabulous sketch and some wonderful inspiration! You have helped me create another Christmas Card and I still have quite a few more to get done! This was a fabulous sketch. The chicks inspired me to use the reindeer paper and it was so much fun! Thanks! What a great sketch and a darling card! 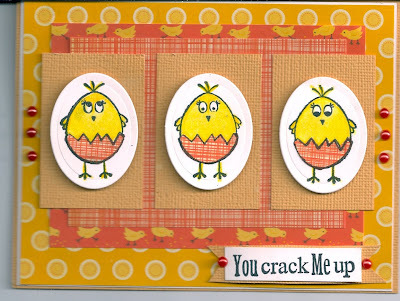 Adorable sample card Tina! The expression on their faces is sure to bring a smile to whoever gets this card. Great! 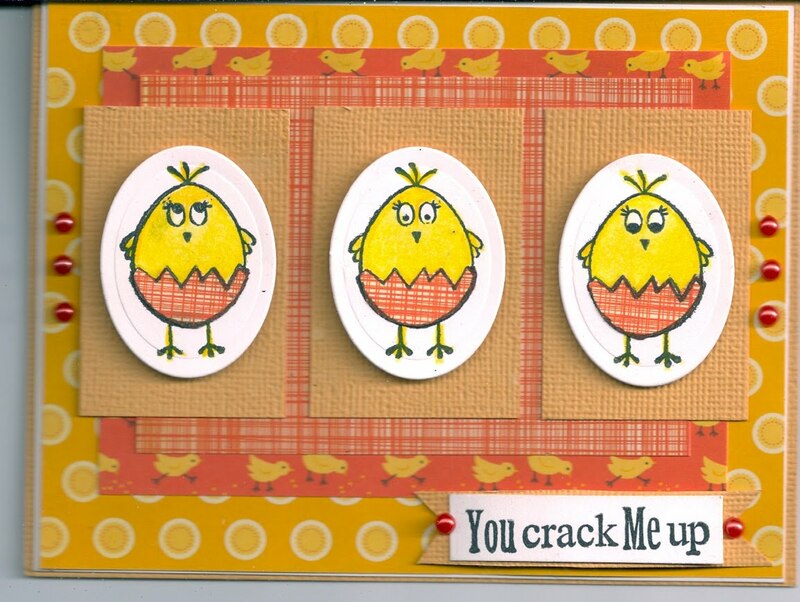 It is so much fun to see a card I made months ago to be used as a sample for a current sketch challenge! Thanks for selecting it and adding the link to my blog. I am always looking my more followers! Thanks for a great fun sketch to play along with and inspiration from the sample card. I really like this sketch and am definitely going to use it again. Thank you for sharing it. The cards that have been posted so far are simply wonderful.